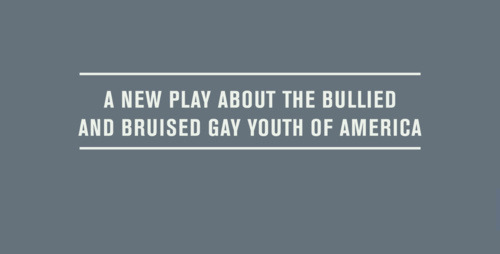 A play, a book, & a movement about the bullied and bruised gay youth of America. 154 backers pledged $7,943 to help bring this project to life. Thank you backers! We officially reached our goal and will be funded on May 8! Your donation transactions will go through then. If you are new, please watch the video, and donate as we still need more funds and are hoping to reach $10,000 before the deadline. CHECK OUT the "Updates" tab above for information about trips across America to meet the families of bullied kids who took their own lives. Photos, quotes, and interview videos will be added. Based on the true stories of a lost generation of gay suicides, this project is to honor and give voice to the ones who are not here to tell us their accounts. We are creating a play, a book, and a movement. Set in a tiny waiting room outside of the principal's office, six young people await their conviction...uh-I mean punishment. Billy would not remove his favorite jacket during his history class. JJ has one dirty mouth that gets them in to it with all the other kids. One of them is a cute mute, and Erin is wearing a tiara...we don't know why she is there. Calvin seeks help after having gum put in his hair time and time again, and Brendan's been playing a mean prank on a boy in the bathroom. Much like a cake that is half The Breakfast Club and the other half Waiting for Godot, THE ROCK & THE RIPE is frosted and layered with humor, tragedy, and mystery. This work is a 'new-age' The Laramie Project that takes real-life information and stories and mashes them all together to bake a mix of outcasts, misfits, and the misunderstood. Chaos meets desperation in this World Premiere play. What really happened to each youth? How are they all connected? And what is inside the Principal's office that makes them so scared to open the door? Designed by talented and recently established graphic designers and artists, Kady Dennell & Jillian Barthold (founders of Deflated/Inflated), with content by Mark Blane, and collaborations with various experts and voices from across the country. The book will be a dissection of how this process and project came to be, the atrocious facts and stories of anti-gay bullying from across the country, information commemorating the lives of 14-year-old Phillip Parker, 14-year-old Rafael Morelos, and many others. Direct quotes from phone-calls, in-person interviews in communities across the country that are affected by homophobia, ignorance, careless town officials, and unsympathetic and uneducated (ironically) school administrations. This book will be PACKED with photography, research, plus insight into the the minds of the actors/activists. I am also proud to share my story, which will for the first time be exposed to a larger community (in the book and in the play). Excerpts of the script will be available in the book as well. The rehearsal space, insurance for the performers in the production, a lighting/sound technician and designer, professional Chicago actors, costumes, sets, props, venue rental fee, advertising and marketing, the costs of the t-shirts and nifty swag, and of course, the PRINTING of the books...your money will help us get our message out there. And start a project that really needs a future. 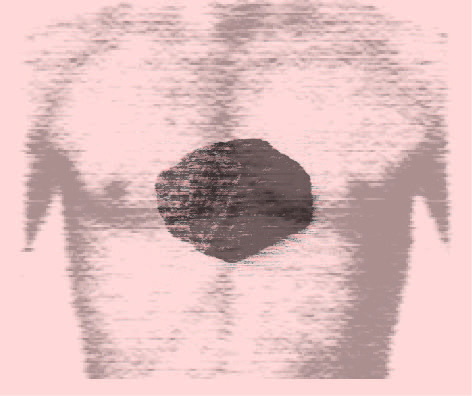 To depict the stories and perspectives of the young people who have taken their lives due to anti-gay bullying, traditional and conservative pressures from small communities and society, and never-ending lack of protection and perpetuating of harassment within the school systems of the United States of America. Gay youth are still taking their lives. This is not an historical play. It's about what is happening here and now. To tour this play, and reach out to communities who we can aid on a continuous journey of learning/changing and responding and reflecting on the play, the issues, the children who are gone, and the future lives we can support and inspire. It's not just about the word 'bullying.' We want to teach people about the layers of this human rights struggle, particularly from the child's point of view. Your name will go on the donor section of the book being produced for the show. Every cent counts, & we want your name next to ours. A limited edition postcard of the show designed by our talented graphic designers, Kady Dennell and Jillian Barthold, and a pin with our show logo! As well as your name in the book. 'The Rock & The Ripe' cotton t-shirt! Plus, a limited edition postcard of the show, a pin...as well as your name in the book. The book signed by the entire cast & delivered before the opening of the show. This gorgeously designed book will be a combination of a theatre programme, photo booklet, and research of the various young people that the play is based on. In our opinion, one of the BEST rewards possible besides coming to see the play. Plus all of the above. A coffee/tea date (in real life! or on Skype if you live far, far away) with director/writer, Mark Blane. Plus, the glorious book and all of the above. Come meet the cast and see them in action! A sneak peak into the rehearsal process. We'll invite you to our rehearsal space in Chicago in April or May for an evening to learn more about our cohesion of theatre and activism. Plus the t-shirt, the date, the book and all the other goodies. A special invitation to an exclusive reception after one of our performances on June 2 or 3 in Chicago. There will be free food, drinks, and an intimate and delightful evening with the cast and creative team! Plus the rehearsal, the date, the book, the t-shirt and all the golden nuggets above. All the merchandise swag, the beautiful book signed personally to you, the coffee date with Mark, the rehearsal visit, Special Reception invite, PLUS a special mention in our book devoted to you and your passion to support such a strong artistic message. You will also receive a package of the fresh and famous Mrs. Blane (Mark Blane's mother) Chocolate Chip Cookies that are a legendary treat in several communities across the country. You will not believe that such magically delicious cookies exist, until you have them in your possession and in your tummy.